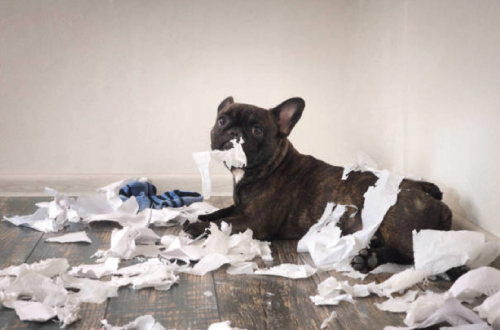 Could you be doing things that annoy your dog without even realising it? Dogs generally will tolerate human behaviour because they are loyal and easy-going. However, did you know that some of the things you do your dog might really hate? Some things they hate may be obvious to you due to their behaviour or body language. Maybe your dog stiffens their body when you put them in the tub and run the water, or maybe they get visibly upset when you do something specific. However, things you might do that they don’t like will be a surprise to you. Here are 10 things you may do that your do hates. 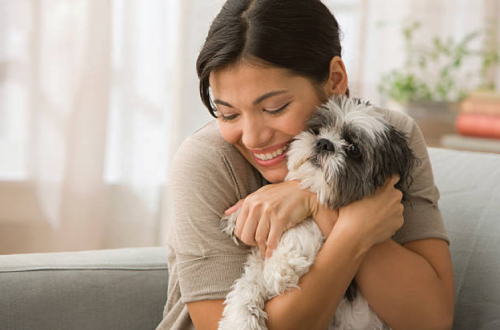 Because we love our dogs, it is natural for us to want to give them big hugs. However, unfortunately they don’t like to be hugged, in fact it makes them rather uncomfortable. Placing your arms around a dog’s neck or body may be perceived as a threat. Every dog is different, so you may find that your dog does like to be hugged, but maybe only by you and not strangers. It is important that you read your dog’s body language next time you go in for a hug to see if they are comfortable or not. Alternatively, let your dog cuddle up to you and pat them on the back or chest. How would you feel if someone came up to you and reached their hand out toward your face and pat your head? Your instinct would be to pull your face away and you would not like the feeling of someone patting your head. Well, this is exactly how dogs feel when someone pats them on the head. 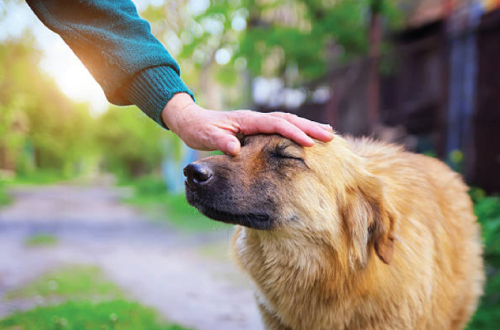 Most humans think that dogs like to be pat on their head, when in fact they hate it. This is because you are getting to close to their personal space just like you feel if someone was to do it to you. Dogs like it best when you pat the on the back closer toward their tail. So, keep this in mind next time you pat a dog, they’ll thank you for it. Dogs enjoy walks for much more than just the exercise. 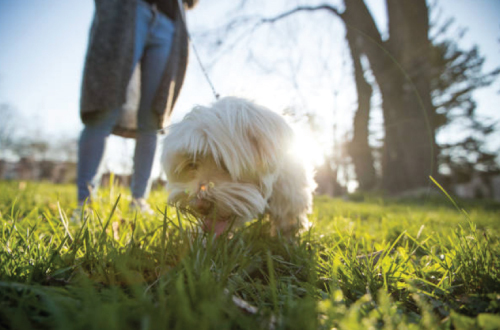 Taking your dog for a walk in the outdoors gives them a chance to explore the world and they do this primarily through scent. Therefore, rushing your dog through a walk and not allowing them to stop along the way and sniff things or mark a spot is very unkind. Think about it like this, would you like it if you were being dragged through your favourite shop and weren’t allowed to stop and look. So next time you take your dog for a walk, be sure to let them sniff and explore as much as they like. 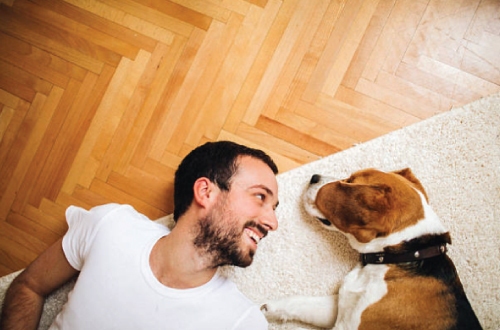 You may have never really thought to much about it, but your dog needs a routine and rules. If they don’t have a routine, this is usually when they will start to act out. It is very important that your dog is trained into a routine in order for your dog to have structure in their life. All dogs have an internal clock. Therefore, it is best to get your dog into a daily routine and stick to this as much as possible. It is best to try and feed your dog at the same time every day and establish an exercise and sleeping routine. After a few days of structured rules and routine, you will most likely notice your dog will be very happy. No one likes to be yelled at or punished (such as being spanked). Dogs cannot understand the words you are saying; however, they can sense your emotions. 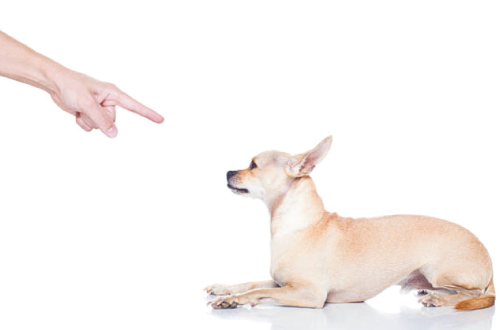 If your dog is fearful or sensitive, you may find that yelling at them and punishing them will upset and scare them. Fear does not equal respect, so if you use these methods when your dog does something wrong, you will not strengthen your relationship. Therefore, your dog will probably continue to do the things they are not meant to. It is best to try positive reinforcement when training your dog. Teach commands such as ‘drop it’ or ‘leave it’ instead. Unless your dog has become used to wearing clothes due to you continuously dressing them, there is a high chance that they really hate being dressed up. 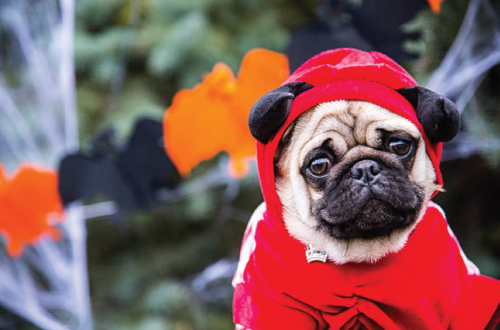 Most dogs will tolerate wearing outfits or costumes for a short amount of time, however they do not enjoy it. Some dogs won’t mind wearing simple items such as jumpers, but will hate wearing something on their head or feet. If you are simply trying to protect your dog from weather, start with small lightweight items and associate them with a treat as a reward. Be sure to watch your dog’s body language next time you want to dress them up and remove items when you can tell they have had enough. Dogs are social animals and love to be around their family and sometimes other people. 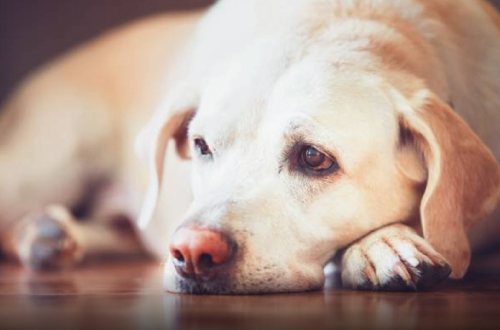 If a dog is left home alone for more than 10 hours a day each day it can be very bad for their health. They can develop behavioural and psychological issues which may include separation anxiety, excessive barking or digging, destructive behaviour or digging. They can also even lose their housetraining skills overtime. Your dog is a part of your family and needs to spend quality time with you. Unfortunately, most of us work during the day. If this is the case, try to see if a friend or neighbour can stop by once a day to take your dog for a walk or play with them in the backyard. If that is not possible, be sure to spend as much quality time with your dog when you are home. If you don’t already know, a dog’s sense of smell is around 10,000 to 100,00 times more sensitive than humans. 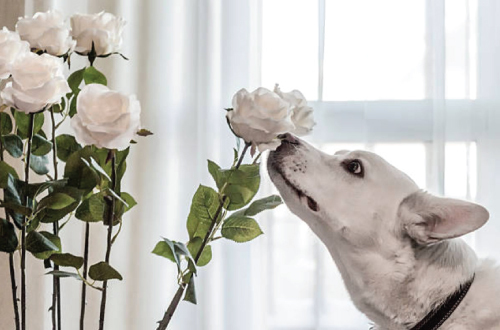 Dog’s love to smell and sniff all different types of scents and odours. However, strong fragrances really bother dogs and can even irritate their noses. Be sure to avoid directly spraying your dog with anything and if you need to spray your perfume or a hairspray make sure you are away from your dog. If your dog requires a medical spray, if possible try to avoid their face. Even the most placid and happy dogs hate to be woken suddenly. Especially older dogs and those with hearing impairments as the sudden approach of someone can scare them. 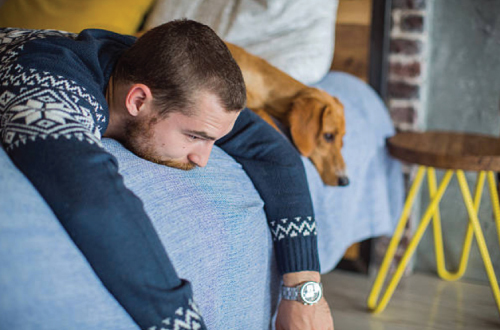 Allow your dog to wake up naturally, without you touching them or sneaking up on them. If you were having a really good dream you wouldn’t want to be woken up, would you? 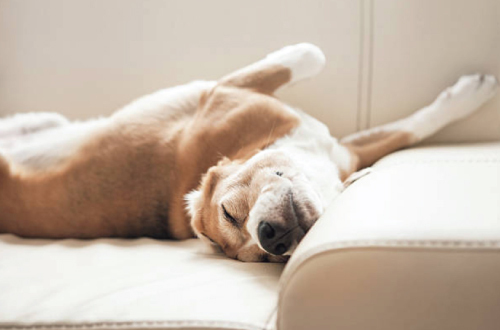 If you need to wake your dog up, be sure to do so slowly, quietly and gently. Because of the close bond you share with your dog, they are able to sense your emotions. If you are going through a period of stress, depression or grief it won’t only be affect you but your dog too. However, some dogs may become frustrated and act out as they are not getting enough exercise, attention and stimulation. In this situation, it is best for you and your dog to try get out and go for a walk. This will not only make you feel better but your dog too. There is a reason dogs are so great in animal assisted therapy.